Len Goodman will return to judge the next season! Julianne Hough will not return as a judge this season. Len Goodman will be back and will judge along with Carrie Ann Inaba and Bruno Tonioli. New cast reveal will take place on Tuesday, March 8th on Good Morning, America. ..."Scott Disick's considering a spot on the next season of "Dancing with the Stars" but his cha-cha and rumba don't come cheap ... $500k minimum." First official pairing announced this morning and it's Jodie Sweetin of Fuller House and she is partnered with Keo Motsepe. The full cast will be announced on GMA next Tuesday, March 8th. Jodie Sweetin just joined the cast of Dancing with the Stars, but she's been hoping to make her own bid for the ballroom for six years. "I really want to do the show," the Fuller House star told PEOPLE in 2010. "I just want to dance, but the fact that it would be on camera, and I'd get to have my hair and makeup done and wear those costumes? Awesome!" It won't be the first time she's danced on television. Sweetin began taking tap and ballet classes as a 3-year-old girl, and when she starred on Full House, the writers would incorporate dancing into her role. "Stephanie was always dancing," she recalled. "A week or two before a dancing episode, the writers would say, 'Okay, you and your teacher choreograph a routine.' "
Sweetin, now 34, even had an ideal partner and a favorite dance picked out. "I really like Derek Hough," she said. "Maks is good too – my mom loves him. But I like Derek's style and his technique. And I really enjoy Latin ballroom. I've always wanted to learn the Argentine tango." Sadly, last year's champ Hough, 30, is sitting out season 22 – but Sweetin is now thrilled to be competing with Keo Motsepe. And she's ready to rumba. "If I did do the show, I would ask, 'How many hours did the winners rehearse?'" Sweetin said in 2010. "Then I'd want to do that, plus an hour. I would be that determined." New Mom Ginger Zee Joins Dancing with the Stars with Val Chmerkovskiy! This mom is ready to hit the dance floor! ABC chief meteorologist Ginger Zee is officially heading to Dancing with the Stars, she announced Friday on Good Morning America – with none other than partner Val Chmerkovskiy! Zee, 35, is certainly going to have her hands full in the next couple of weeks: From taking care of her son Adrian, 10 weeks, to rehearsing four to five hours a day – not to mention her regular job as GMA's weather anchor, – it's going to be no easy task, but she's looking forward to it. "That's the thing, I want to do it for [my son]," Zee said Friday on GMA. "It's tough to go back to work, but I'm going to dive right in and take every single day as it comes!" As for little Adrian – who's actually not so little anymore, he's almost 14 lbs. and "growing like a weed," Zee joked – he's going to travel with Mommy a lot of the time, and Zee's husband, NBC news correspondent Ben Aaron, is going to "be doing a lot" to help out. That being said, there are challenges ahead: "The first rehearsal I had I forgot my pump!" Zee said. "So I'm already running into the obstacles. ... There's a lot of work ahead of us, this is no joke." Luckily, Zee has fan favorite Chmerkovskiy, 29, by her side. "I walked in and I screamed [when I found out]," she said. "I didn't expect him!" "She has incredible potential and she really wants to do well and I want to help her stay 'super mommy,' " Chmerkovskiy said. And is he already Uncle Val to little Adrian? Not quite yet! "I haven't met Adrien yet, but I've met the pumps!" he said with a laugh. Also officially confirmed to be joining the ABC reality dance competition is Fuller House star Jodie Sweetin. Season 22 of DWTS will premiere March 21 on ABC. 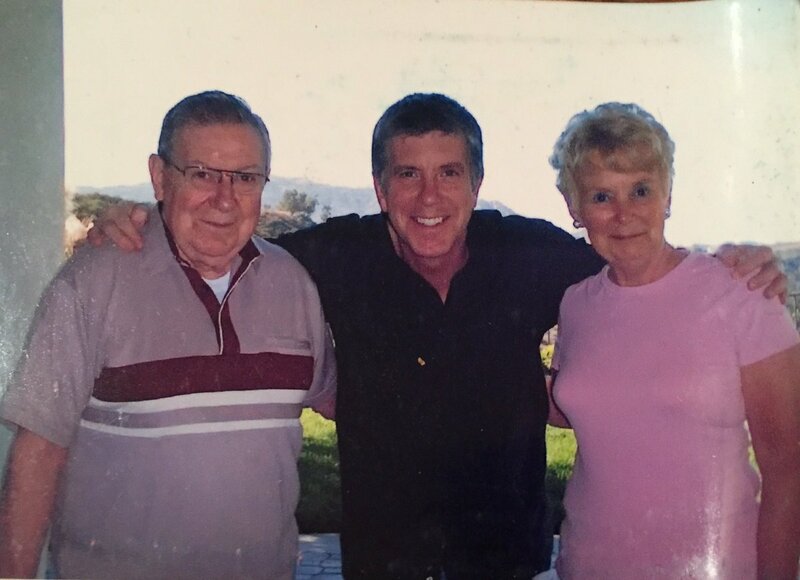 Dancing With the Stars host Tom Bergeron took to Twitter on Saturday, March 5, to announce that his mom Catherine “Kay” Bergeron had died, just four months after his dad Raymond “Ray” Bergeron’s death. Bergeron, 60, tweeted, “Four months apart. Together forever. #RIPMom,” with a touching photo of himself and his late parents. The day before his mother died, Bergeron shared a pic on Twitter and wrote, "4 months ago my Mom lost the love of her life. Now we've gathered at her bedside. They never did like being apart." 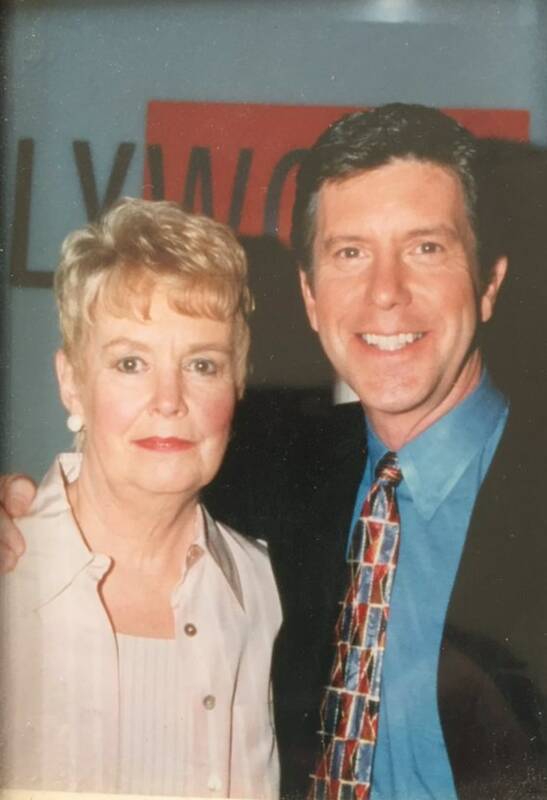 In early October, the TV personality dedicated an episode of Dancing With the Stars to Ray, who died earlier that week at the age of 81.
he longtime host of the hit reality dance competition took a week off from his DWTS gig to be with his father during his final days. The reveal is out and the entire list above is correct except for one. Ben Higgins is not doing the show. Wanya Morris of Boyz II Men is dancing with Lindsay Arnold! A whole new crop of stars are getting ready to put on their dancing shoes. As previously revealed, Fuller House star Jodie Sweetin and Good Morning America's Ginger Zee will be competing on the upcoming season of Dancing with the Stars. But now fans can start picking their favorites from the entire roster of season 22 competitors. It was announced on GMA Tuesday that Zee and Sweetin will be joined on the dance floor by The O.C. 's Mischa Barton, Devner Broncos linebacker (and recent Super Bowl MVP) Von Miller, TV news personality Geraldo Rivera, The Facts of Life and The Real Housewives of Atlanta star Kim Fields, UFC Fighter Paige VanZant, Boyz II Men's Wanya Morris, former NFL quarterback Doug Flutie, deaf America's Next Top Model winner Nyle DiMarco, Pittsburgh Steelers wide receiver Antonio Brown and actress (and ex-wife of Donald Trump) Marla Maples. "I know [DWTS] will push me to my limits, both emotionally and physically," Barton, 30, says in the current issue of PEOPLE. "You always learn something about yourself by doing that." Season 22 of the ABC reality dance competition also marks the return of some fan-favorite professional dancers. Season 22 of Dancing with the Stars premieres March 21 on ABC. REMINDER:Tonight is the season premiere! Good luck to the new 12 pairs dancing for the mirror ball prize! Mischa/Artem, Geraldo/Edyta and Doug/Karina were declared the bottom three. Geraldo Rivera and Edyta Sliwinska were eliminated from the competition. Mischa/Artem, Doug/Karina and Jodie/Keo were declared the bottom three. Mischa Barton and Artem Chigvintsev were eliminated from the competition. Marla/Tony and Jodie/Keo were declared the bottom two. Nobody got eliminated this week! Paige/Mark, Doug/Karina and Von/Witney were declared the bottom three. Doug Flutie and Karina Smirnoff were eliminated from the competition! Next week the teams will dance original dances and team dances. And it will be double elimination! Kim/Sasha, Von/Witney and Wanya/Lindsay were declared in the bottom three. Wanya and Lindsay were then declared safe. Which means Kim Fields/Sasha Farber and Von Miller/Witney Carson were eliminated from the competition!